The CSL Elite Racing Wheel works seamless with all PS4 and PS4 Pro consoles. 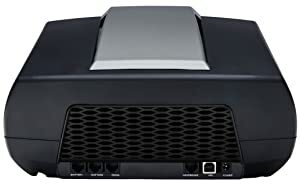 The wheel is fully supported within the PS4 menu and developers will be able to take advantage of the wheels cutting-edge capabilities in their future games. The lightweight metal rim (970g) has a realistic diameter of 30cm (11.81 inches). The perforated genuine leather grips and suede fabric ​​will provide comfort while the durable shifter paddles provide a strong cli​​ck thanks to Snapdome technology. 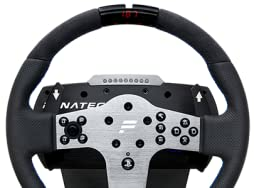 If you go Fanatec you enter a world of unlimited flexibility and variety. 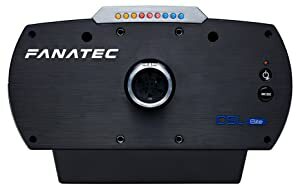 The already high performance level of this racing wheel can even be upgraded with factory options like full size steering wheels, full metal shifters or the legendary loadcell pedals. The button caps can be changed easily to racing style button caps, with symbols that match the most popular functions you need during a race. Attachable PlayStation4 button caps for optional ClubSport steering wheels are included as well. Powerslide through the corners with the help of the optional analogue handbrake. The first and only racing wheel on PS4 with this option. The powerful brushless servo motor combined with the single belt drive deliver impressively detailed and strong force feedback, with ultra-smooth feeling and big ball bearings for lowest friction. 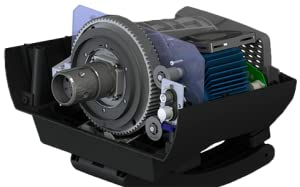 Our DirectSensor technology utilizes a sensor mounted directly on the steering axis, keeping the steering input precise by preventing any influence or disturbance from the belt drive. See what is going on with rev lights on the base, an illuminated centre stripe and the integrated 3 digit LED screen to show you important car and race data in compatible games. 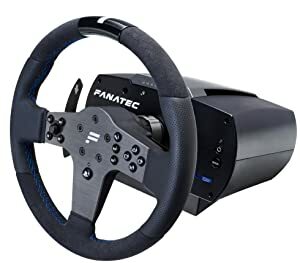 The famous Fanatec Tuning display allows you to change many important settings like force feedback strengths, steering angle and even brake sensitivity during racing and independent from the game. You can save 5 different setting profiles and quickly change between them.